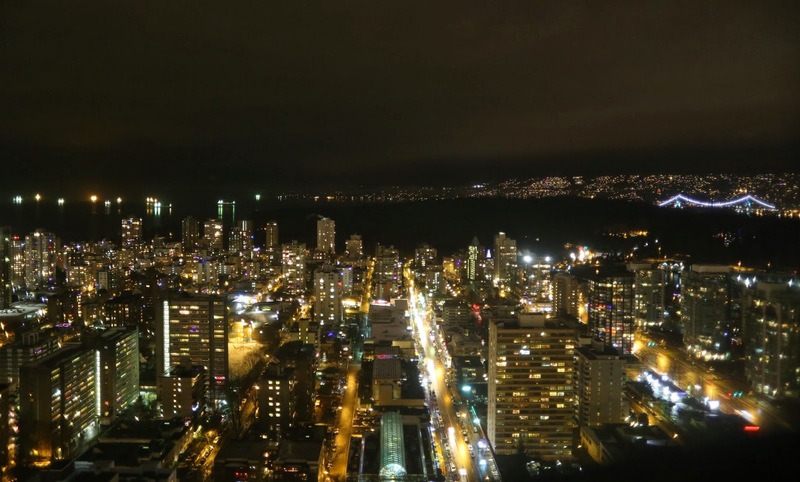 This is the view looking northwest from Vancouver's West End at night. The First Narrows Bridge is beautifully lit, connecting the darkness of Stanley Park with the North Shore. The usual collection of bulk and container ships are moored on the horizon, waiting for a berth in the harbour. The light pollution of the city is reflected in a low cloud layer.